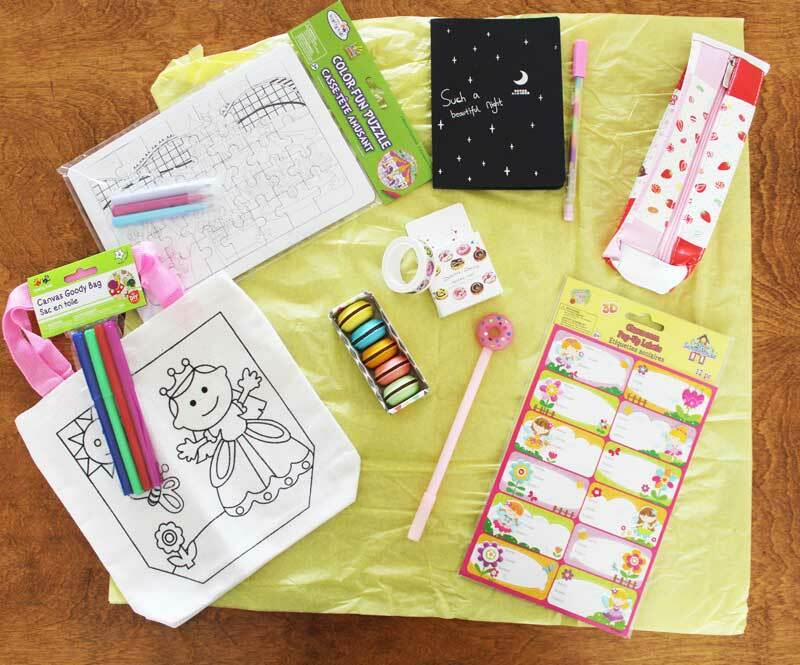 Home » KinderArt Blog » What’s Inside the Box? From Canada’s East Coast comes a brand new monthly subscription box! 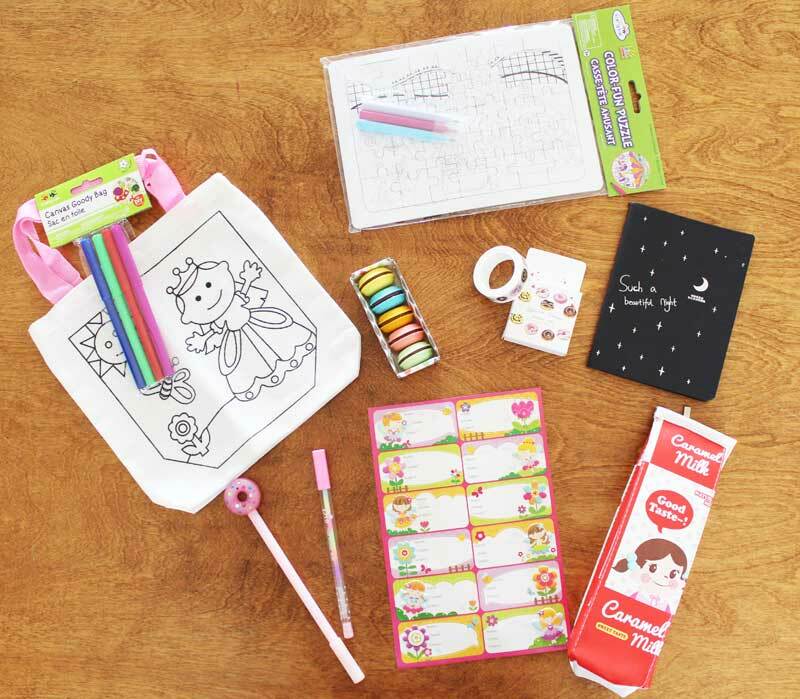 Canadian mom Diana, and her daughters, have always been drawn to craft supplies and stationery items. So when Diana decided to develop her own subscription box, she knew just what to include in each monthly offering. In Your Case is a craft and stationery themed pack which is mailed 3, 6 or 12 times a year and inside each envelope is an array of unique, modern & fun items that kids will use everyday. I was thrilled to receive a sample In Your Case pack to review, and I wasn’t the only one. My 8-year-old daughter was bursting with excitement when she saw the shiny blue envelope. 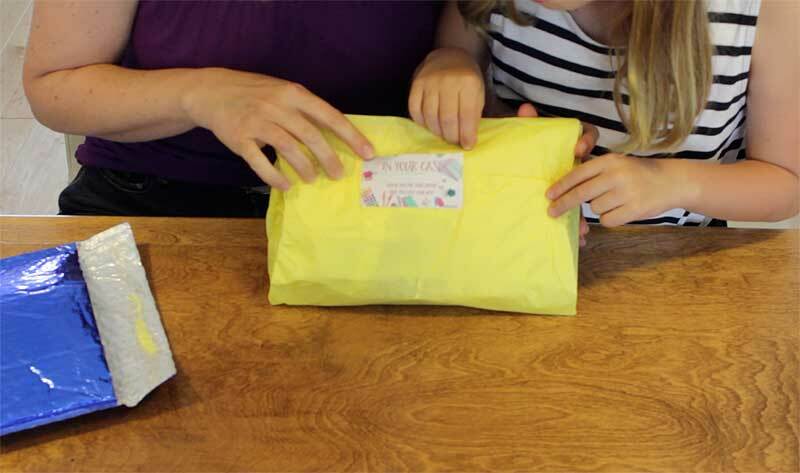 From the start, the package felt special, with bright yellow tissue paper containing surprises inside. There was an audible squeal of joy from my daughter when she first spotted what was inside. The contents were super sweet and there was a definite theme. Erasers shaped like colourful pastel macaroon cookies. Washi/masking tape with sweet little donuts printed on it. A special pen with various ink colours, designed for use on black paper. A cardboard puzzle (amusement park) with markers. A small canvas tote bag with markers. Colourful pop-up stickers for school notebooks. The items were carefully curated to go nicely with one another. And they were a big hit with my daughter and her friends. I loved that there was a variety of items, including practical, fun and creative choices. And, with the exception of a couple of items, the products were unique and unlike anything I’ve been able to pick up at my local stationery store. 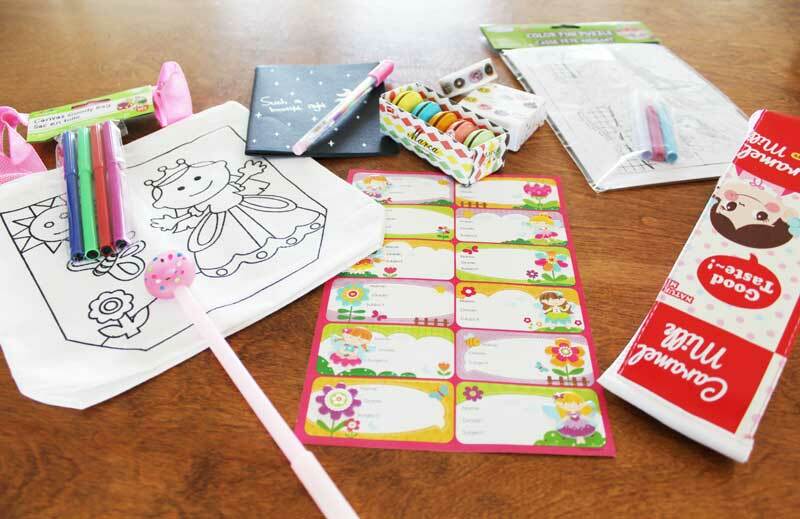 My daughter loved the food themed pen, tape, pencil case and erasers. With packs designed for kids, tweens, teens – and even adults – In Your Case offers several subscription options including 3, 6 or 12 month plans. 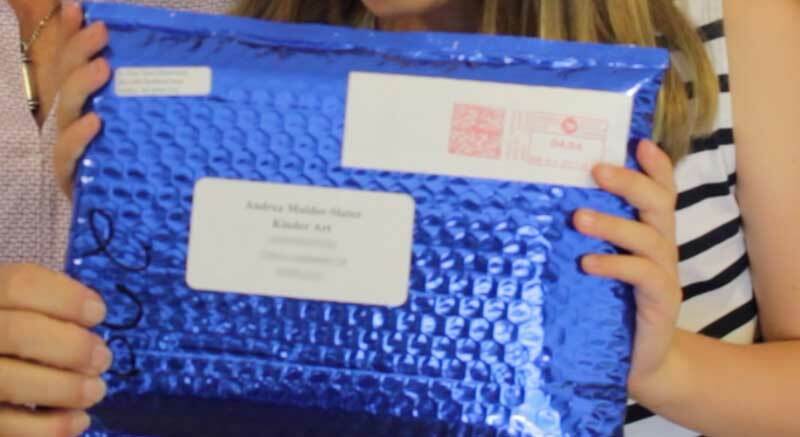 For a limited time, KinderArt.com readers will receive their First Box FREE when they sign up for a 12 month subscription if ordered before August 31, 2017. To take advantage of the offer, go to the In Your Case store and use coupon code inyourcase15 at checkout. Review sample provided by In Your Case.